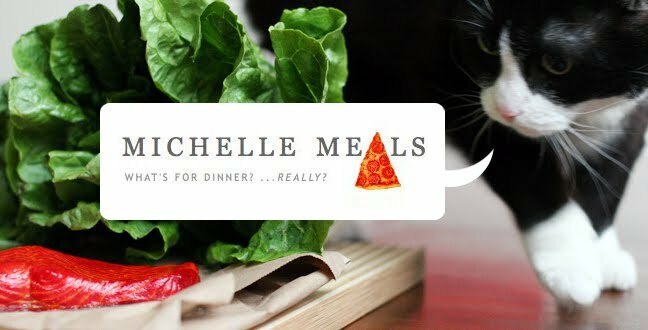 Michelle Meals: Fun with Vegetables! I made some delicious things yesterday out of vegetables. I found a new carrot soup to add to my repertoire! It is Szechuan Carrot Soup; made of carrots, onions, celery, garlic, stock, milk and President's Choice Memories of Szechwan Spicy Peanut Satay Sauce. (The bottle with the panda on it. Get the full-fat kind! A cursory glance at labels suggests that the "Blue Menu Light" version has a million more mg of sodium. And that the full-fat one is more peanuty.) Topped with cilantro. 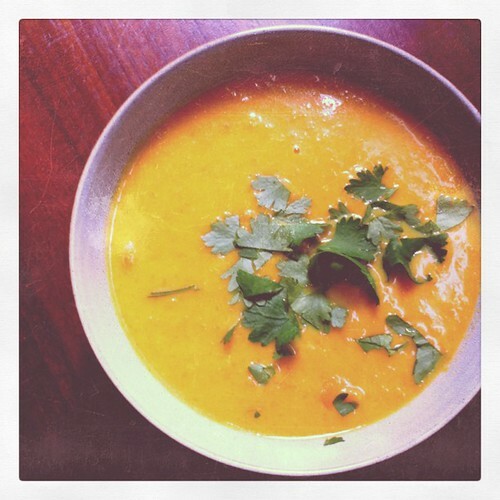 Another winning soup from one of my favourite soup cookbooks, For The Love Of Soup. Will I make it again? YES. YES! I also made a zucchini salad with my Spirooli. 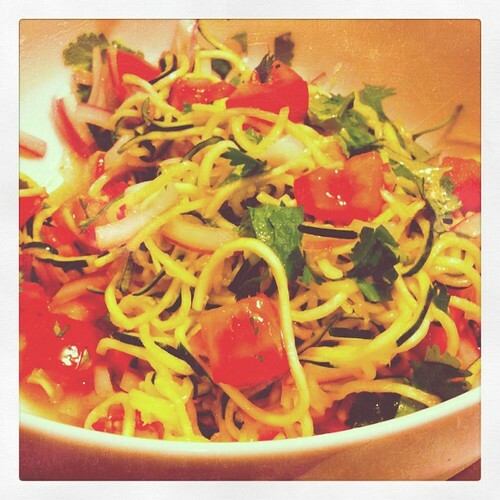 I salted the zucchini noodles to draw out the water, then rinsed and drained them, squeezing out the excess water. I also chopped 1/4 of a red onion and marinated it in the juice of two limes with a bit of salt. I mixed all this together with a couple chopped up tomatoes and a giant handful of cilantro. Pretty good. Will I make it again? Maybe.